President Donald Trump will soon submit the United States’ biggest trade agreement in a generation to Congress. The deal negotiated with Canada and Mexico is a good one for Washington state workers and businesses, and deserves our policymakers’ strong support. Formally known as the United States-Mexico-Canada Agreement, or USMCA, the deal was signed by presidents of all three countries last year. It would modernize the existing North American Free Trade Agreement (NAFTA), which has been in effect since 1994. Like many important issues facing our country, USMCA has become politicized. Commentators fixate on who is for it or against it, while ignoring what’s actually in the agreement. Washington lawmakers need to resist that impulse and focus on the many provisions that will help our state. 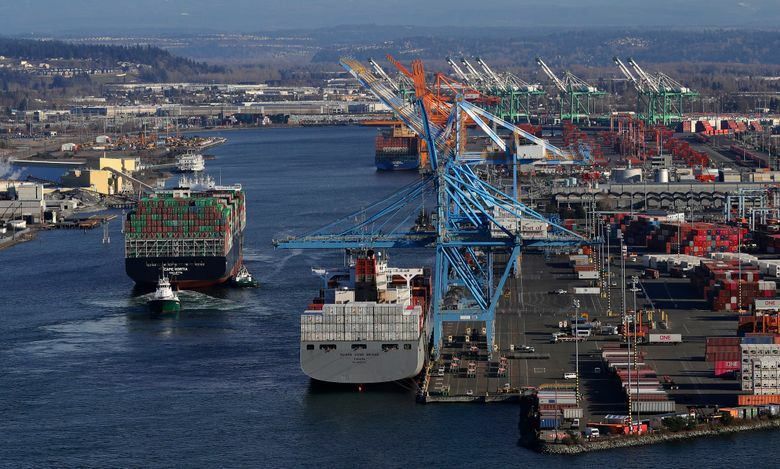 International trade has always been a cornerstone of Washington state’s economy. Indeed, Washington is one of the most productive and innovative states in the nation, thanks in large part to our robust trading relationships with Canada and Mexico. Since NAFTA was signed, Washington’s exports to Canada and Mexico have jumped 200 and 700 percent, respectively. Today, nearly 13 percent of our state’s total exports go to our two neighbors, including nearly $10 billion in goods and $2.5 billion in services. USMCA would bring North American trade policy into the 21st century and bolster many local industries. Consider dairy. Washington has been hit by the decline in American milk consumption; nearly nine in 10 state dairy farms have closed over the past 15 years. USMCA contains provisions that would expand American dairy farmers’ access to Canada, which could spur $70 million in additional U.S. dairy exports each year. This would be a boon for the thousands of state residents who work at one of Washington’s 460 dairy farms and plants. USMCA also preserves existing market access for U.S. farmers in Mexico, which is great news for Washington growers who export apples, cherries and pears. Our state grows and sells more than $3 billion worth of these agricultural commodities each year. Those in the wine industry would also benefit. Canadians already enjoy our vintners’ offerings; in 2017, the nation imported $10 million worth of Washington wine. USMCA removes certain restrictions on wine imports that would create even more opportunity for Washington wine exporters. The USMCA also takes important strides to improve protections for American intellectual property. This will benefit Washington’s writers, software programmers, musicians, photographers, video game developers and other creative professionals who right now worry about those in other nations simply stealing their work. Additionally, USMCA extends “data exclusivity” for certain advanced medicines, which is welcome news for our state’s life-sciences industry, which employs 36,000 residents. A drug company in Tacoma may seem vastly different from a dairy farm in Royal City, but odds are they’re more similar than you think; both likely have fewer than 100 employees. Washingtonians — not just big businesses — stand to benefit the most from USMCA. Washington’s elected leaders have long been allies of smart trade policies, and they should continue that tradition by supporting USMCA. Trade with Canada and Mexico currently accounts for 330,000 jobs across Washington. If our already strong trade relationships are reinvigorated under USMCA, there’s no telling how many more opportunities will arise for our farmers, artists, scientists, and technologists. For their sake and ours, let’s get the “New NAFTA” across the finish line. Lori Otto Punke is president of the Washington Council on International Trade.